Speaking to clients in Debt Management Plans (DMPs) on a daily basis gives you an idea of the questions that are generally asked throughout the course of the plan. 1. Is my Debt Management Plan really free? We take no fees from our clients in Debt Management Plans. 2. So, how are you funded? We are funded by the goodwill of a few creditors, based on our reputation to get our clients out of debt via Debt Management Plans, or alternative debt solutions. These donations we receive from certain creditors enable us to keep your Debt Management Plan free. 3. How do you work out how much I pay? We calculate the amount you pay by taking exact figures for every form of income you have, including pensions and benefits. We then take exact figures for every expenditure you have. By doing this, we have an accurate representation of your monthly budget. Once you are satisfied that everything in your budget has been accounted for, we subtract your expenditures from your income – the result is your payment towards your Debt Management Plan. 4. What are we allowed within the budget? Just about anything you can think of! Although, your creditors will receive a copy of your budget to consider what they find is appropriate or if anything is excessive. If you are paying any utility arrears, tax bills, hire purchases or child maintenance we can include these items within your budget for you. Our Income and Expenditures are always a true and accurate representation of your household budget, so you should include anything you have to pay for. We do not include costs relating to your business, as this is a cost for your company rather than yourself. So if you must pay for any tools, fuel or any other costs relating to your business this cost should be taken from your income. 5. Can I change my payments? Your payments should always be suited to your situation and if you feel they are not suited to you, we can complete a review of your budget at any time – you do not have to wait for your Annual Review. We understand that circumstances change, for the better and for the worse. If you do have a change in your life that impacts the amount you can comfortably pay to your creditors you can call us on 0844 855 2163, or discuss this with us on PayPlan Plus. 6. How long do I have to pay into my plan? This varies on how much you owe to your unsecured creditors and the amount you are able to pay your creditors each month. We work out your estimated repayment term based on these factors. We can only ever give you an estimated repayment term, as creditors may not freeze interest and charges to your accounts; which may result in paying back more, over a longer period of time. For example; if you owe £7000 and pay £100 per month and never alter your payments, it would take approximately 5.83 years to repay your debts. We review your plan with us every year, to ensure your payments are still suitable and that you are still within the best debt solution for yourself. 7. Will my creditors stop contacting me? Unfortunately we cannot stop your creditors from contacting you whilst you are within a Debt Management Plan. However, we do liaise with your creditors on your behalf and we distribute payments to them, fairly, on a pro-rata basis – so this should hopefully reduce the amount of correspondence you receive. 8. Are interest and charges frozen? Again, this is not something we can guarantee. We always request that your creditors waive interest and charges for you when we contact them, but they are still able to charge you at the rates specified in the terms and conditions you originally agreed to. 9. Will the Debt Management Plan affect my credit file? The Debt Management Plan itself does not affect your Credit File. However, you will receive Default Notices. Default Notices are issued by your creditors if you; miss a payment, make an incorrect payment or make a late payment. Default Notices remain on your Credit File for six years from the point they are issued to you. Within a Debt Management Plan, every payment you make will be a reduced payment and, therefore, an incorrect payment. This is why Default Notices are issued, even if you are making regular payments into your plan. Secondly, as the Debt Management Plan is an informal arrangement, there is no protection for your assets and you are still open to legal action against your accounts. If you were to be subject to any legal action, call us on 0844 855 2163 as soon as possible. We have a Legal Document Handling Team that can assist you. 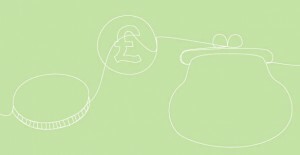 If you wish to access your credit file, you may set up an account at www.noddle.co.uk for free. Noddle is a completely free website, where you can check your Credit Rating and File. 10. Can I pay my debts off if I have a lump sum? If you have a lump sum and you wish to put this towards your debts, or even if you have had a windfall and wish to clear all of your debts; we have a Settlements Team here at PayPlan that can help you. The Settlements Team provide a free service to PayPlan clients and have a long history of being able to settle debts, often at a lower rates. There are specific criterion for each of these options, they will not all be suited to you. If you do wish to look into any of the options, specifically, or you just would like to be reassessed for all options; call us on 0844 855 2163 to book an appointment with us to talk you through your options. Here are the basics of the debt solutions we can discuss with you; you can click on the specific debt solution to find out more. Please note; these are different for our Scottish Clients. If you are a Scottish client that wishes to discuss your alternatives, please contact your Case Officer at PayPlan Scotland. A Debt Management Plan is an informal arrangement between you and your unsecured creditors where you make reduced payments until your full debt is cleared. We will liaise with your creditors on your behalf and distribute payments to them, fairly, on a pro-rata basis. We also request that your interest and charges are frozen; unfortunately this is not something we can guarantee. Your creditors also have the rights to seek further action against you, including legal action; we can also offer no protection against your assets. This option can ensure you are debt free, usually within one year. Bankruptcy is a legal process which is administered by the Official Receiver or an approved intermediary and has a fee of £655 in England & Wales (£647 in Northern Ireland) and you may be required to pay your available surplus for three years, unless you receive a means tested benefit. An Individual Voluntary Arrangement usually lasts for five years and one affordable monthly payment. There are no upfront fees for IVAs with our associated company, PayPlan Partnership Limited, they are built in to your monthly payment and this has no effect on your repayment term. Your creditors can no longer chase you for payments or take further action on your accounts. Your IVA is entered on the public Insolvency Register for the duration of your IVA and it is placed on your credit file for six years on the date of approval. There are certain professions that will not employ individuals in a form of insolvency, usually in the financial sector. As above, but this type of Individual Voluntary Arrangement is tailored to the self-employed. A Debt Relief Order is suitable for people without a mortgaged property and a low level of assets; it usually results in being debt free within twelve months. The maximum debt level to enter into this option is currently £20,000. This is an option that PayPlan can assist you with. The disadvantages of DRO are that a record will remain on your credit file for six years. This will have a serious impact on your credit rating and obtaining further credit is likely to be very difficult during this time. You may also face restrictions on working in certain professions in the future, and your DRO will also be added to the Individual Insolvency Register. I will forward your request to Payplan. This is not Payplan Plus so we do not normally deal with requests like this.